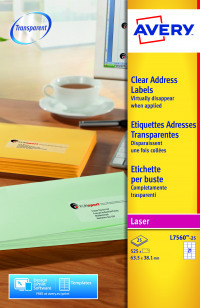 Create the illusion of having printed to each surface individually with Avery clear laser labels. The edges almost disappear completely upon application giving the impression that the text is printed directly onto white, coloured or textured surfaces. Compatible with Avery's free template software, create professional looking labels anywhere. Developed for use with your laser printer, these labels are designed with JamFree and Smudge FREE technology to ensure easy, hassle-free creation. 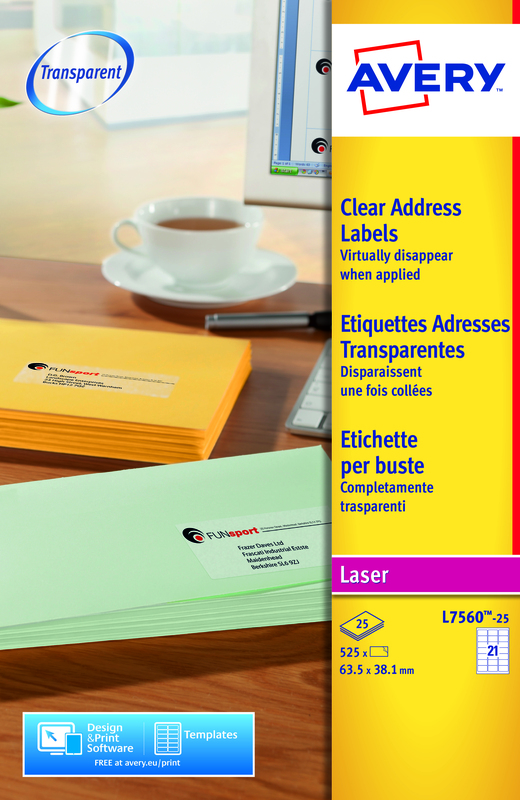 There are 25 sheets with 21 labels per sheet (525 labels in total).